Insurance buying is a major decision that we all have to come across once in our life sometimes. And if you are planning to buy insurance for the first time ever then you might face some dilemmas in your planning and execution of the whole procedures. To help you get through this crucial period here are the 7 tips that will guide you to make the right choice of buying insurance. The basic classification of insurance policies are two types- term life policies or permanent life policies. The term life policies are provides us with a definite period of time such as 20 or 30 years. In this type of policies after the completion of the time period your family will receive the benefits and that too after your death. On the other hand, permanent life policies lasts life long. In this case your premiums are higher and they are designed into death benefits and cash-value. Whatever you insurance choice may be the goal is set for the future. So it is always wise to think about before you jump into a policy. In the next twenty or thirty years you should make a complete clear picture of your goals and priority lists. Say for instance if you develop a serious illness then your life insurance policy may not extent your need for long term. But in case of terminal illness insurance can provide financial support. Before you finally decide to choose your company always learn about the company’s reputation and customer ratings. With good amount of ratings and reviews from customers will let you know if the company is really perfect for you. Knowing your coverage details is very essential as it will help you to decide better on your balance of premiums. In the future years you may develop unwanted expenses including mortgage payments, and payments for any other unlike changes. Even you may experience a change in your income scale. Thus calculating your premiums and output will help you to run over different situations. First of all you need to determine the coverage that will be beneficial for you and also the amount that your family will receive. For this, online calculators are the best way to guide you through. With the help of calculators you can get a good, draft idea, yet there are other factors such as various tools and broker’s guidance are also beneficial. It is always better to discuss your plans and queries with the professional experts. It is up to you if you want to find a suitable financial advisor or an agent. But make sure you find someone you are comfortable with to discuss and who can guide you through easily. This agent or advisor is supposed to customise insurance policies to fit your goals better and must be able to clear your confusions. They must not be pushy, rather they should be more flexible with your goals, thus guiding you the exact way you want. This period is the time that allows you to review your policy guidelines and terms. During this period if you find something not suitable for you you can cancel your policy. So always learn about the length of this free-look period that you chosen insurer is providing. With a serious outlook, knowledge and research you can actually find peace to enjoy your life. So make sure you learn in details about the policy and the benefits it will bring. We do not want to spend the rest of our lives worrying if the insurance will help you and your family or not. Do not ever assume that your policy is best because someone says so. Always figure out the policy guidelines and terms and understand with your mind without anyone’s influence. It is about a lifetime process which need serious consideration. A life insurance policy is meant to deliver financial security to your family and the coverage is helpful in many aspects. According to “Ty Stewart”, a life insurance expert at Simple Life Insure it is always advisable to understand the needs and benefits that one expects to get out of the insurance policy. Everyone nowadays must go for a life insurance policy to secure their future even if you do not have a big family dependent on you. There are a number of policies that are designed specifically for specific needs. Thus a thorough knowledge is beneficial and necessary for your future financial help. 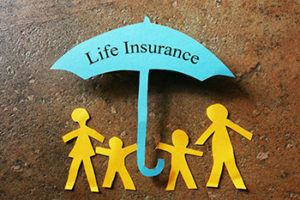 Life insurance is a decision that is personal and at the same time needs right guidance. For a more sensible decision note your requirements and understand the issues that might come your way.